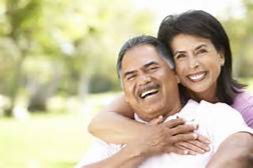 Diabetes Self-Management Program - Ardent Solutions, Inc.
Learning how to manage your diabetes and staying healthy is important for anyone who has recently been diagnosed with diabetes or for those looking for a refresher on how to control their diabetes. The Diabetes Self-Management Program aims to help participants improve knowledge, skills, and confidence related to their condition. 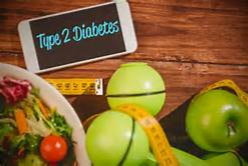 This program is not an substitute for diabetes education with your healthcare professional team, but is a supplemental program that can help you and your family members successfully manage your health and maintain an active and fulfilling life. 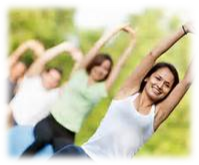 The Diabetes Self-Management workshop is given 2½ hours once a week for six weeks, in community settings such as churches, community centers, libraries and hospitals. People with type 2 diabetes attend the workshop in groups of 12-16. Workshops are facilitated from a highly detailed manual by two trained Leaders, one or both of whom are peer leaders with diabetes themselves. The Diabetes Self-Management Program teaches a variety of tools that can help you meet the challenge of living with diabetes. Research found that six-months after participating in the workshop, attendees had significant improvements in depression, symptoms of hypoglycemia, communication with physicians, healthy eating, and reading food labels. Each participant in the workshop receives a copy of the companion book, Living a Healthy Life with Chronic Conditions, 4th Edition, and an audio relaxation tape. 5) working more effectively with health care providers. Participants will make weekly action plans, share experiences, and help each other solve problems they encounter in creating and carrying out their self-management program. Physicians, diabetes educators, dietitians, and other health professionals both at Stanford and in the community have reviewed all materials in the workshop.